As Greed and King Bradley continue their battle, the mysterious homunculus “father” makes his move under Central City. In order to achieve his objectives, he will need to force Mustang to make an unthinkable choice. 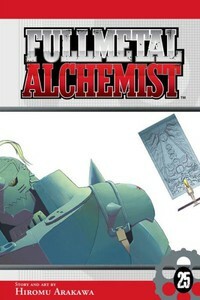 Meanwhile, Alphonse has the chance to regain his own body, but the sacrifice to do so may be too much.